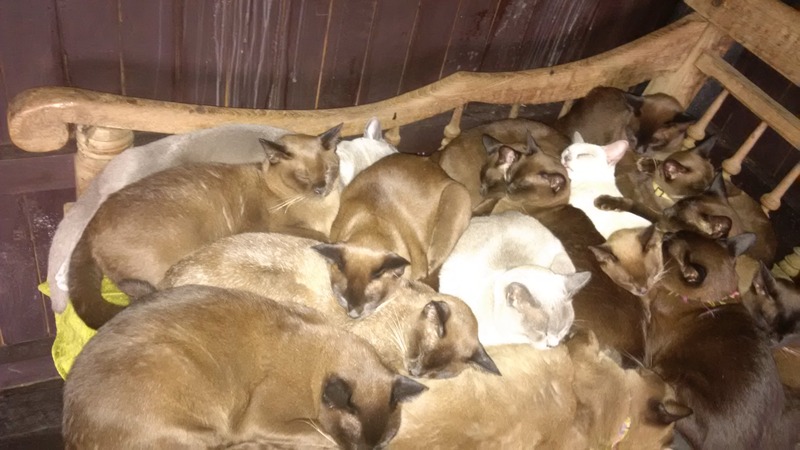 It probably says more about me than anything else that a Burmese cat sanctuary ‎elicited the biggest reaction (mostly “Awwww how cute” and “I want one”) on the whole trip. Ok, let’s just pretend that didn’t happen and move on. ‎First things first, Lake Inle is huge. Getting around is by snake boat (and what a superb name that is), and traversing the length of the lake can take the best part of an hour. Many of them are motorised, but that doesn’t apply to the farming carried out locally, whether the copious tomato plantations, the seaweed harvesting or the fishing. And the technique for propelling the boats forward is striking – involving wrapping a leg around the oar and pushing back. The technique evolved due to the level of reeds within the lake, forcing the boatmen to stand up to be sure of being able to see adequately. The farmers and fishermen live on the lake, and literally so, their houses being built on stilts driven into the lake bed. There are a large number of places that claim to offer floating fishing villages, but few equal the authenticity of this one. Lake Inle is also rightly renowned for its extraordinary scenery, the lake framed ‎by mountains which provide the kind of backdrop to take the breath away. One thing not mentioned so far on this trip has been the food. The foods of Myanmar aren’t particularly well known outside the country, certainly in comparison to those of India, China or Thailand, which all border the country. ‎ Yet there is a distinctive style to the food, whether that be Burmese dishes or those of some of the other regions. Shan cuisine is a personal favourite at this point, though the English description of “steamed spring onion with condiments” needs a little work. Not many would guess it was quite so delicious as it is.